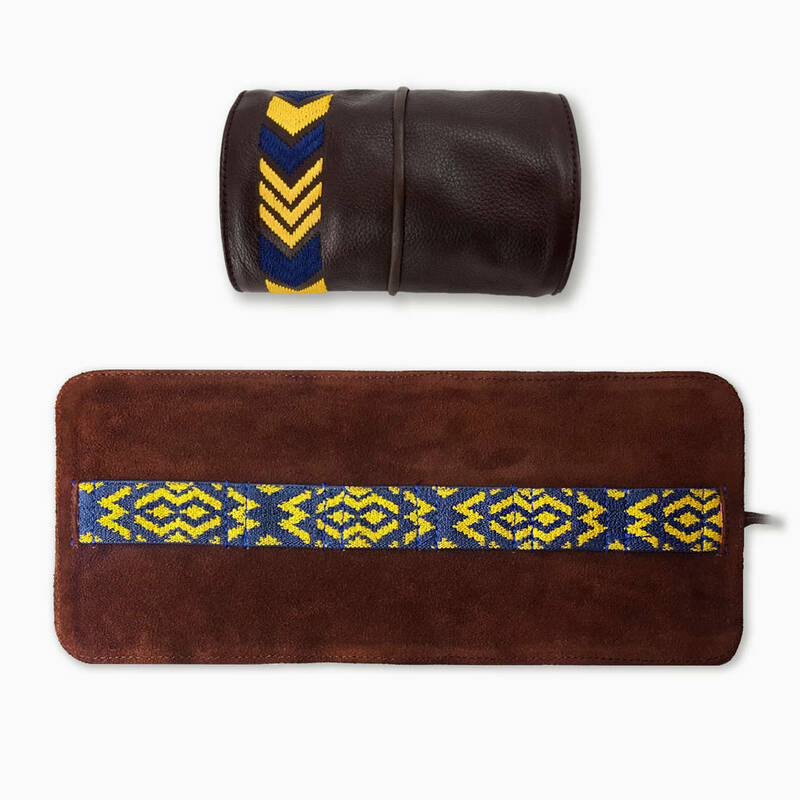 Personalised Mantidy Tech Roll is a quality genuine leather organiser - built to house all of your gadget tech mobile phone accessories kit. With mantidy Tech Roll, all the gadgets are kept in a handy organiser with chevron embroidery. Available in three colours: Tan, Black, Dark Brown. 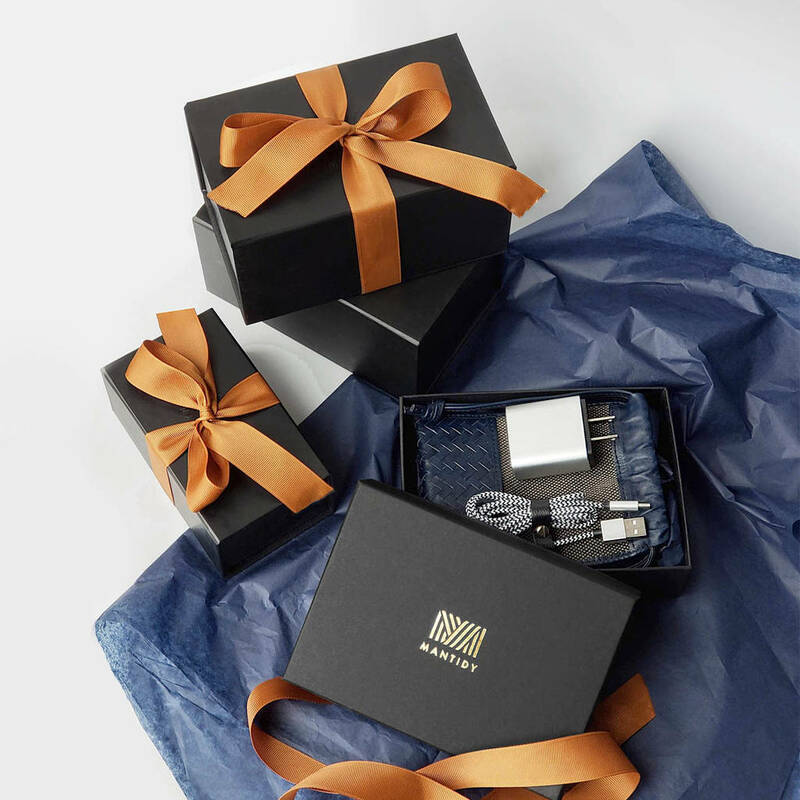 Tech Roll will look even better in the stylish matte luxury gift box with a ribbon, cotton bag and wrapping tissue paper. 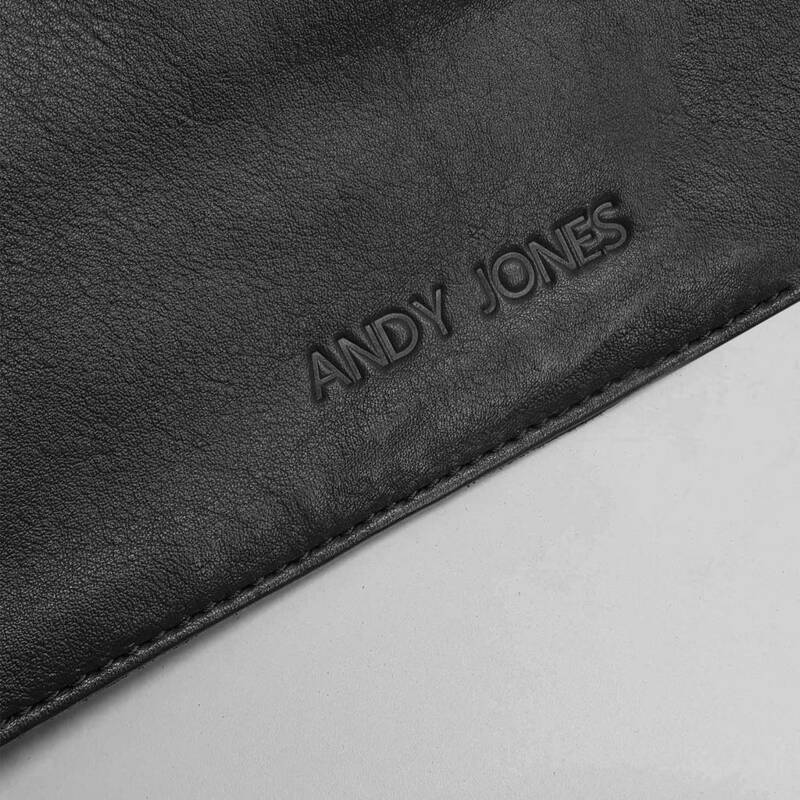 Personalised gifts for men: now we offer personalisation service for any Mantidy organizer. You can add hot-press monogrammed initials, name or a message. Our Christmas bestselling cool Techroll is a perfect Christmas gift for men who like thoughtful, practical and useful presents. Designed in England. 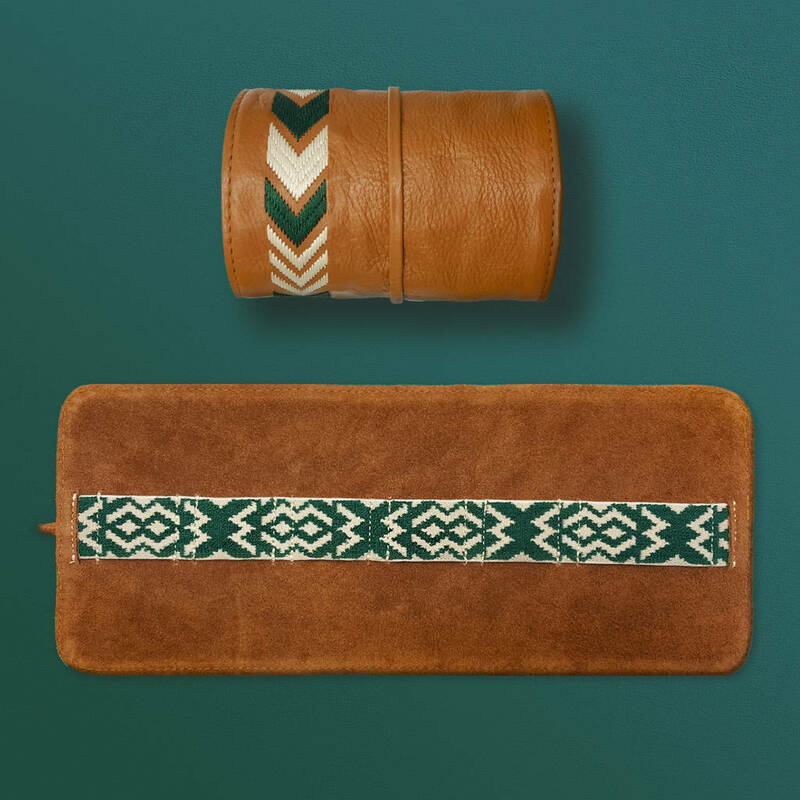 The inner roll is made up of soft cows suede which bonds perfectly with genuine soft coated nappa cowhide leather and decorated with cool aztec embroidery, ensuring a beautiful patina that will only get better with use. 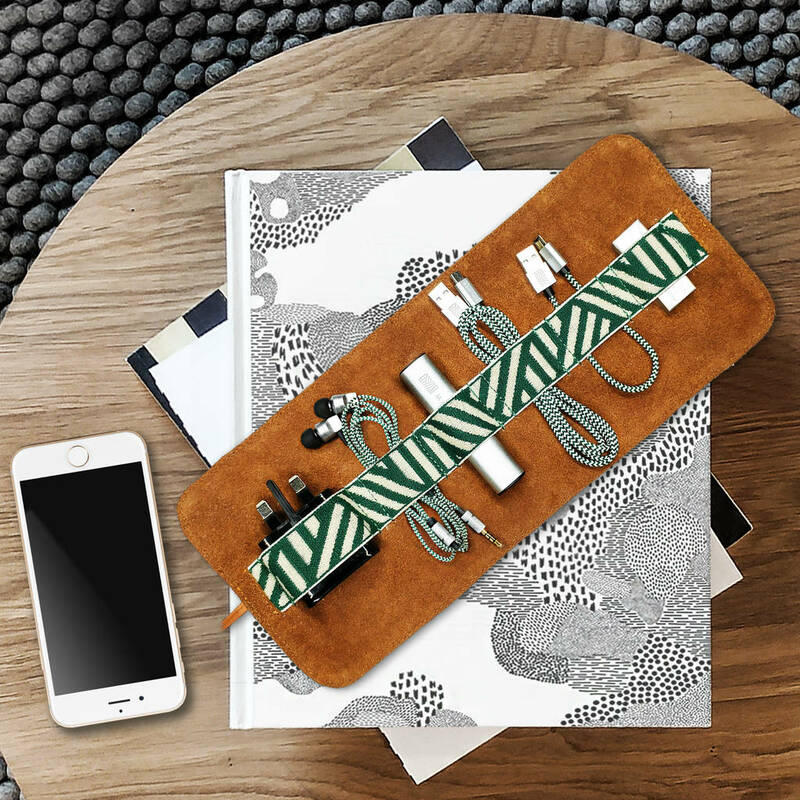 The cable strap/ clip is adjustable and made of genuine leather. 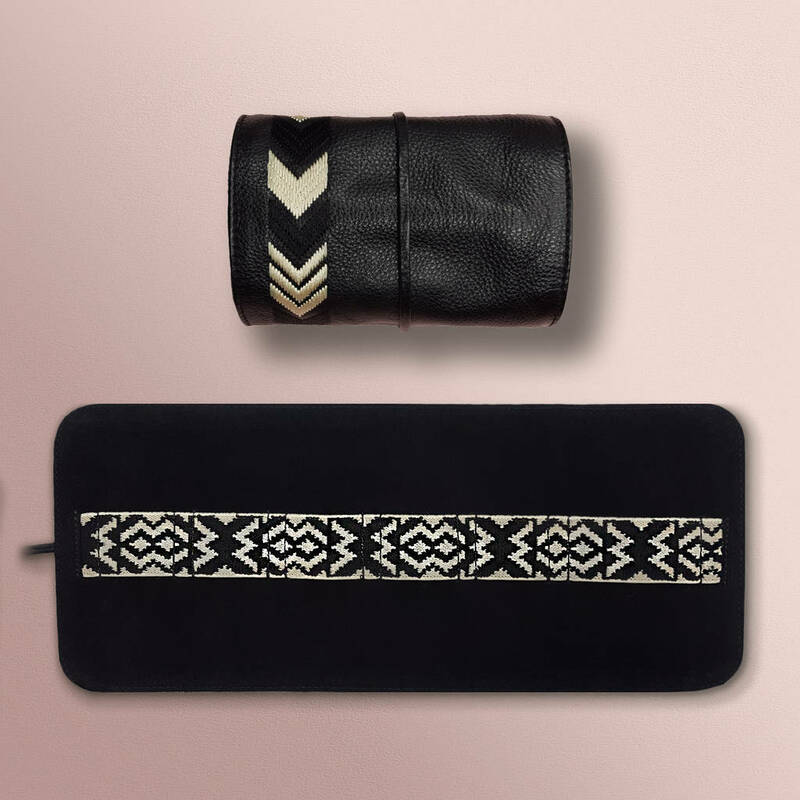 The fabric braided cables are covered with strong nylon thread. Whereas, cables' connectors and power banks are made of high-quality aluminium with matte silver finish. Measures: 35cm width (13.8”) x 15cm height (5.9”); Rolled up - 15cm height and ~8cm width (fully loaded).